Dark leaved, weeping Silk Tree. Small weeping tree with fern like foliage, emerging green but quickly turning dark red. Pink flower heads in August. Sheltered position. Height 1.5-1.8m spread 1m. 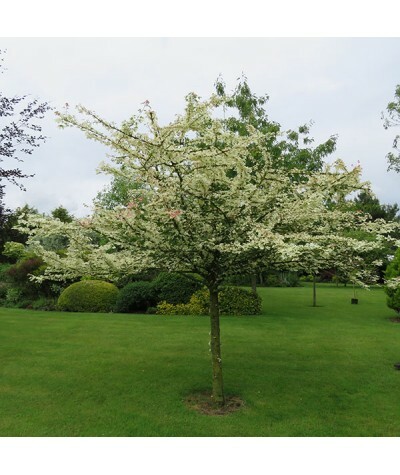 M..
A rare and curious form of flowering dogwood that has a mass of chinese lantern style white flowers in spring. The curly white bracts are clasped at the tips and turn from a greeny white throug..
A select form of snowy mespilus that grows as a small slender tree of upright habit. Masses of pale pinky white flowers and good autumn colour. Any good soil, not chalky, in sun or ligh..
One of the best hollies for regular crops of berries. Dark shining, almost spineless leaves and large red berries in winter. Reliable. Any soil in sun or shade. Height 6m spread 4m. ..
Persian silk tree. Beautiful mimosa like foliage and pink flowers in summer. Height and spread to around 4m x 3m. Performs at its best in a sheltered spot in fertile well drained soil in full sun o..
Tasmanian Leatherwood. Lovely small tree. 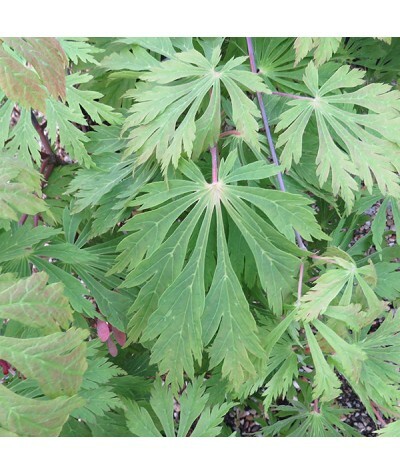 Evergreen with pale pink flowers with darker eye in mid to late summer. 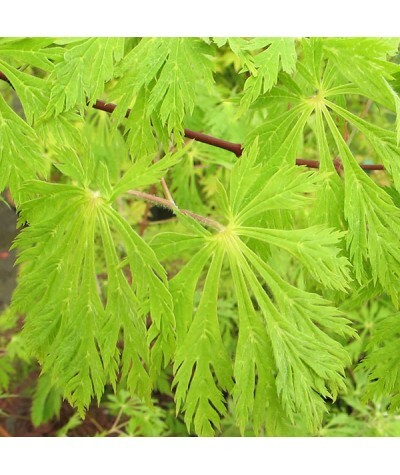 Prefers a slightly acidic soil in a sheltered site in full sun or part shade. Prote..
Lovely purple/silver leafed small tree for a large conservatory or a sheltered sunny position outside. Height controllable to 8-10ft. Pinch out tips for bushiness. 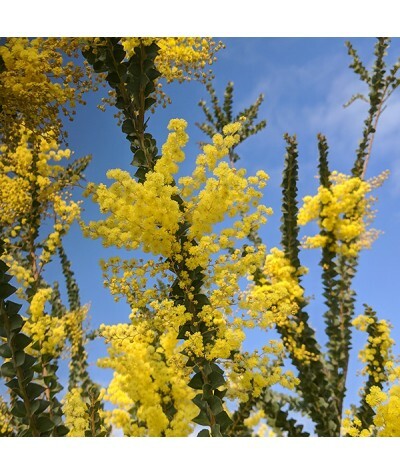 ..
Fluffy yellow flowers in late winter-spring. 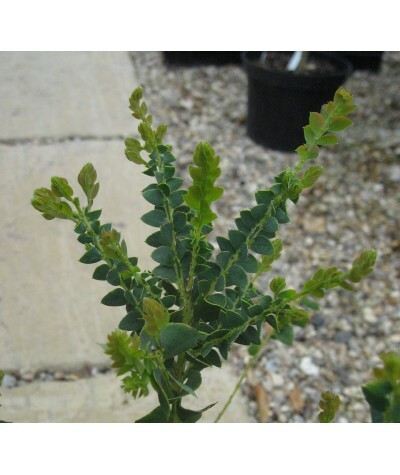 One of the hardier Mimosas, fine for unheated conservatories, or outdoors in a sheltered sunny location. Superb foliage. Height 3-5m spread 3-4m. 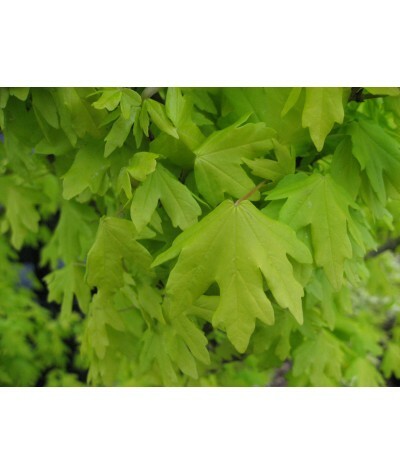 ..
Variegated field Maple. 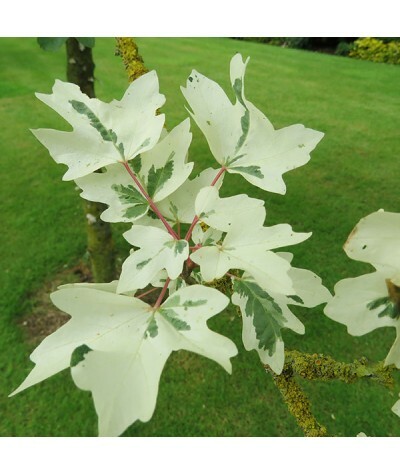 This variety makes a strikingly beautiful small tree with white and green variegated foliage with white being the dominant colour. Height and spread to around 5m. 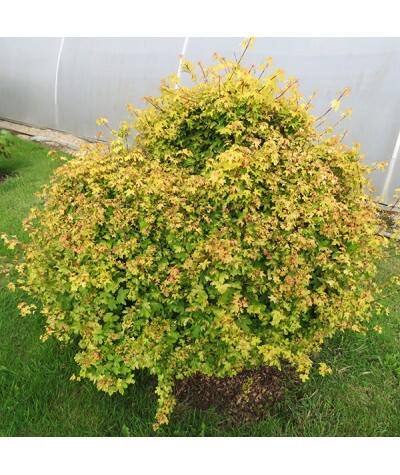 Fertile, m..
Golden leaved Field Maple. 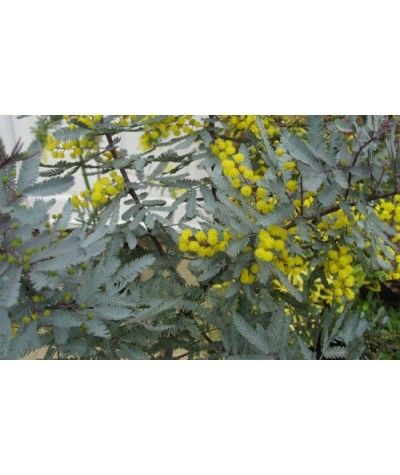 This is a smashing shrub or small tree for dappled shade. 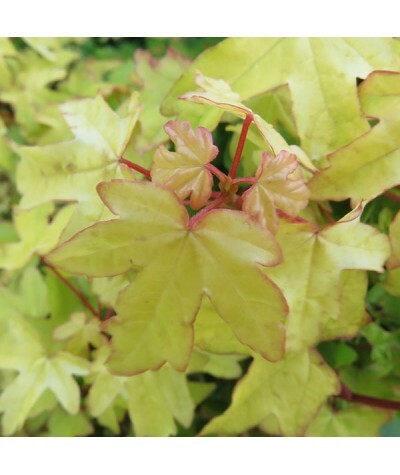 Bronze tinged new foliage quickly turns to a bright golden colour. Leaves scortch as the sun gets stronger..
A really lovely and unusual shrub/small tree. 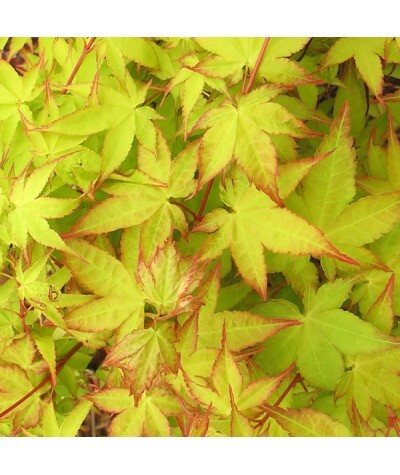 Deeply lobed and toothed bright green foliage turns brilliant ruby crimson in autumn. Moist well drained soil. Height and spread to around 5m. 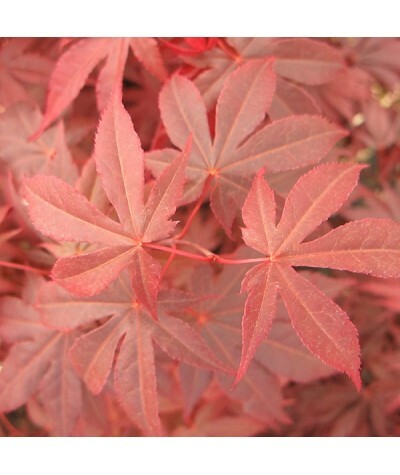 ..
One of the taller growing varieties of Japanese Acer trees with red-purple leaves turning bright red in autumn. Partial shade. Hardy. 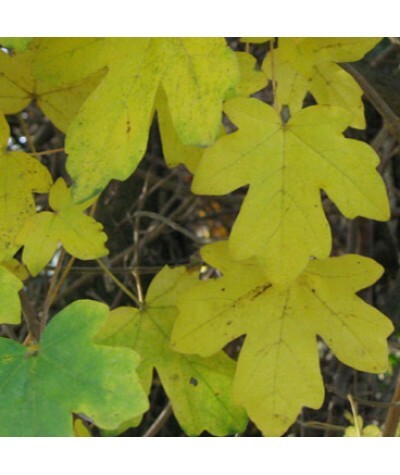 ..
Beautiful pale yellow leaves edged scarlet in spring, maturing to green before turning burnished gold in autumn. A lovely small tree for a site sheltered from the harshest of winds. ..